Testing to see if picture shows up... Can you see it? Testing to see if a post with a pic works. 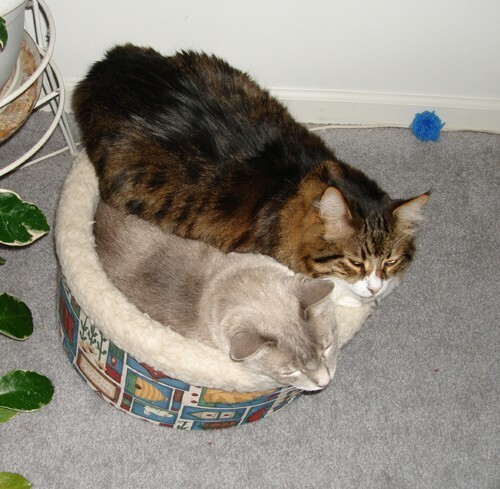 If it shows up, there are my two big boys squeezed into one small kitty bed. Re: Testing to see if picture shows up... Can you see it? I can see it and that is so damn cute! Aw, they look so cute all snuggled up in there!